One of the things that has been the most challenging for me as I work on Baby Girl's room is trying to figure out what Baby Girl wants, rather than what I want. I know it's probably silly, since she's so young, but I kind of went into this project with the idea that while of course I want a room that I enjoy seeing every day, it's her room and I want it to be something she loves. Me: Do you like pink or green? BG (With an emphatic head nod): Green. Me: Okay, so do you like green or pink? BG (More nodding): Pink. Me: You like pink? BG (Pretty much non-stop nodding): Pink. Me: Or green? BG (I'll spare you, but yes, nodding): Green. Me: Maybe you like both? BG: Both. Me: How about purple? BG: Purple. Me: Puce? BG: Puce. Me: Aliens are landing in the garden? BG: Garden. Me: With green antennas on their head? BG: Head. So finally I got this idea. I got a whole bunch of fabric from my studio and just spread it all out on the table for her. 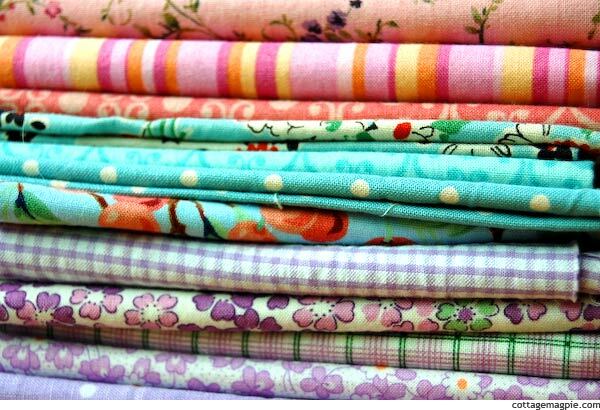 As it turns out, being a quilter, I have bits of fabric in every color of the rainbow. Anyway, I laid it all out on the table, and just watched her play with it. I didn't say anything or give any direction. I didn't know if it would work, I just thought, if she showed any affinity to any fabrics I'd use the colors from those. 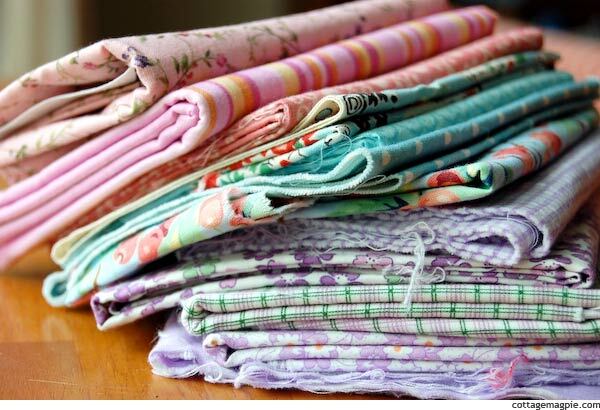 And she started going through it and very carefully picking some fabrics out and stacking them up n ear her, and pushing other fabrics away. If you're curious, this is what she did NOT pick. Black, yellow, green, orange, periwinkle and purple. I'm especially glad I did this exercise after seeing what she picked, too, because here's what I probably would have picked for her. Green, yellow and orange. Which is funny, because I actually like what she picked better. I don't know why I have such a hard time picking sweet colors myself. I love them! But I always feel like I'm doing something wrong when I choose sweet colors. Like I'm betraying feminists everywhere or something. Maybe I just need therapy. Ahem. Anyway. We have our color palette for Baby Girl. Now to work out which colors are going to go where! I've got wainscoting and moulding, walls, a headboard and other furniture, plus all the fabrics and decor. So the puzzle begins! How about you? Have you ever decorated a room for a toddler? How did you decide what colors to use?